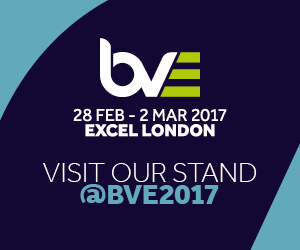 Panasonic will be at BVE 2017, where we will be displaying the complete VariCam line-up – the flagship VariCam 35, the compact VariCam LT and the VariCam Pure which provides 4K uncompressed raw at up to 120fps – all of which will be configured to meet a variety of production scenarios. In addition, Panasonic will also be showing its latest 4K and HD remote camera solutions that have proven extremely popular for fixed-rig installations, education and live streaming. James Bennett from Televisual Media will be discussing all things HDR in two seminars - the first of which is a panel discussion focusing on the delivery of HDR on Tuesday 28th February in the Post & Workflow Theatre from 1-2pm, and the second is called 'The Value of HDR - what happens next?' on Wednesday 1st March in the Post & Workflow Theatre from 1-1.40pm. In each session James will be displaying 'The Beauty of Hever', which was shot on the VariCam 35 and VariCam LT. For more information follow the link here. Come and see us over on Stand H39 to see our full live system solutions and production line-up for yourself.